2017 International Conference on Intelligent Systems, Metaheuristics & Swarm Intelligence (ISMSI 2017) was successfully held in Hong Kong during March 25-27, 2017. We appreciate the participation and support of all the attendees, including the invited speakers, technical program commitee members and external reviewers, the authors and your excellent presentations. 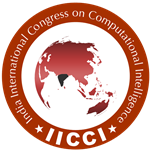 Accepted papers of ISMSI2017 have been published by ACM and indexed by Ei Compendex and Scopus!